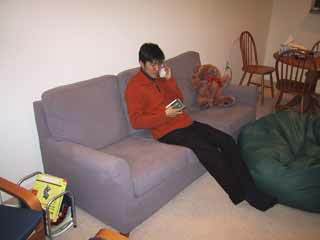 First pic is of my younger cousin, Johnny, making a call to his a-na-ta after I picked him up from the airport. We're actually only like 2 months apart. But he comes to the US alot for his family business. 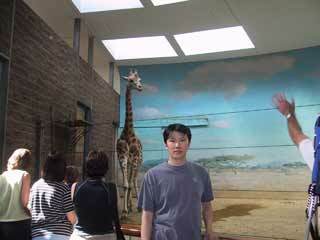 The second pic is of me in front of the giraffe pen at the Bronx Zoo.